I am going to be a grand-aunt in a few hours time! There are two different dream interpretations. 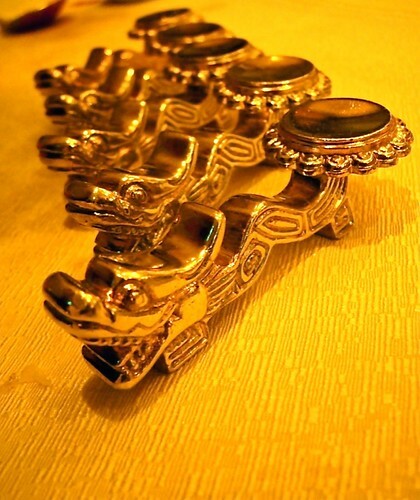 In Chinese, if you dream of dragons, it means you are going to have abundant luck. I think I better go buy some lottery. My son told me the lottery’s prize now is RM10 million. I told him, “Good lah, like this I go buy and make deal with Jesus. If I strike, I give RM2 million to charity.” He lectured me about virtues and about gambling. Eh, I told him, so & so told me that it is not a sin to buy lottery so if I buy only one, tak salah lah. However, to some Christians, dragon is a big no-no to them because dragons are symbols of the devil. So, how? I Chinese first, mah. Right? Never mind, first lottery peddler to approach me today will get my RM3. Eh, how much does one lottery ticket costs nowadays? Of course, I had been grand-aunt on the hubby’s side since the day I kahwin. Many, many times over ‘cos my mother-in-law last time hor, she pregnant together with her eldest and second daughter. *swt* My hubby’s nieces and nephews are older than him. But this is different mah. I very biased wan, my side of the family wor. The Chan side. My eldest sister’s eldest daughter. Next, her older brother’s wife is going to have baby. Then, her younger sister too. The other day when I went to my sister’s house, all three of them, preggies sat together. Wuah, so blissful. My sister is going to be grandma three times over between now and October. And I think I must give thanks to God ‘cos my late mother is going to be ‘ah chor’. Fuyoh. My sesame oil, ginger and pork all waiting for the new mom. But now, kena caesarean, so kena tangguh projek masak confinement foods till tomorrow liao. By LilianIn Family5 Comments on I am going to be a grand-aunt in a few hours time! Next Next post: Chey……what’s a little bleeding? Choonies last blog post..Bullshitting all the time! Congratulation too lilian ahyi !! Im waiting to congrate you again for kena Lottery haha !! I heard about you making big at the blogging world, and now you are going to make it big in the lottery world, hahaha, in life it’s full of opportunities, am I right? Have a wonderful day while waiting for the new born!